Open your eyes to a world of discovery with this amazing fact-packed book from Roger Priddy. 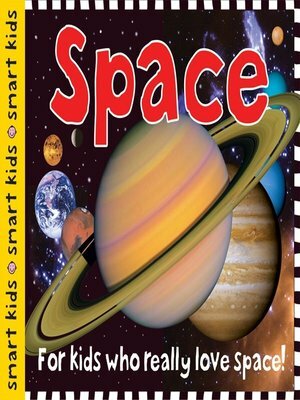 From the Solar System to the Milky Way, from Mars to Mercury, from UFOs to the Space Shuttle, Smart Kids Space is an ideal first guide to the mysteries and wonders of our incredible universe. Written in an accessible and fun style, the informative text is perfectly complemented by visually stunning, large-sized, full-color photography. Perfect book to introduce children aged three and over to the fascinating world above us.